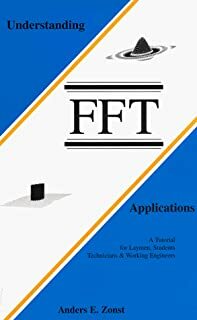 Contains good layman descriptions of advanced technologies concepts like: Diffie-Hellman Key Exchange, DES, symmetric vs. asymmetric keys, RSA, PGP, etc. Chapter-8 "A Quantum Leap into the Future" contains the best description I've ever seen on how the keys are exchanged securely using polarized photons. The book details how programmers and electronic communications professionals can use cryptography - the technique of enciphering and deciphering messages - to maintain the privacy of computer data. It describes dozens of cryptography algorithms, gives practical advice on how to implement them into cryptographic software, and shows how they can be used to solve security problems. The book shows programmers who design computer applications, networks, and storage systems how they can build security into their software and systems. System admins and some programmers will need this book. It primarily deals with problems associated with Web Servers and Browsers but this should get you over the hump for other technologies. Comment: I started my career learning Interpreted BASIC (Heathkit-H8, Apple2, TRS-80, HP-3000). Moving to compiled languages (Pascal, VMS-BASIC, C, C++, COBOL, FORTRAN, etc.) showed me the true power of computer technology. Humorously, I am ending my career learning Interpreted Python. This book was named after its first chapter but should have been named after its second. What the Hell Happened in 2007? quote: Most good middle-class jobs today - the ones that cannot be outsourced, automated, or robotized, or digitized - are likely to be stempathy (STEM + epathy) jobs. Why? automation has no social skills. Kaos is misspelt for a reason. This chapter deals with the problems caused by some Americans who continue to promote American power in a 20th century way despite the fact that much of the world is living in a 21st century way. Take countries like Tunisia and Egypt and for example. Despite their apparent lower standard of living compared to the USA, many citizens have cell phones which are being used to acquire information previously unavailable if not blocked. The Arab Spring appeared to be a failure as far as many Americans were concerned. And yet, those middle-east countries have pivoted in a different direction. I first read this book back in 1981 but am now (2015) rereading it as a recommendation of the ScienceFriday Summer Book Club. (corrected) Publisher's Blurb: Computers have changed since 1981, when Tracy Kidder memorably recorded the drama, comedy, and excitement of one company's efforts to bring a new microcomputer minicomputer to market. What has not changed is the feverish pace of the high-tech industry, the go-for-broke approach to business that has caused so many computer companies to win big (or go belly up), and the cult of pursuing mind-bending technological innovations. The Soul of a New Machine is an essential chapter in the history of the machine that revolutionized the world in the twentieth century. the reason why they were call VAX-11 is because they could run PDP-11 code through emulation. I have proof of this because one of the guys in our shop was always dropping down into RSX-11 mode then running PIP. That all changed when we moved to the VAX-8550 which no longer support PDP-11 emulation mode. DEC knew a lot of customers used third-party I/O boards so provided a lot of adapter cards which would allow a VAX to connect to the peripheral drawer of a PDP-11. These boards might be under the skin but they were not for CPU purposes. This book contains useful information I have never seen anywhere else. It is worth every penny. Question: why is it that every really good computer book in my library published by No Starch Press? In Turing’s Cathedral, George Dyson focuses on a small group of men and women, led by John von Neumann at the Institute for Advanced Study in Princeton, New Jersey, who built one of the first computers to realize Alan Turing’s vision of a Universal Machine. Their work would break the distinction between numbers that mean things and numbers that do things—and our universe would never be the same. Using five kilobytes of memory (the amount allocated to displaying the cursor on a computer desktop of today), they achieved unprecedented success in both weather prediction and nuclear weapons design, while tackling, in their spare time, problems ranging from the evolution of viruses to the evolution of stars. John von Neumann and the people surrounding him at Princeton's Institute for Advanced Studies. 1024 bits stored as dots on the screens of forty war-surplus oscilloscope tubes; as each dot began to fade, it needed to be refreshed. This is not much different than the refresh cycle demanded by modern DRAM technology. Quote from page 155: In 1945, meteorology became a science while [weather] forecasting remained an art. Forecasts where generated by drawing up weather maps by hand, comparing the results with map libraries of previous weather conditions and they making predictions that relied partly on the assumption that weather would do whatever it had done previously and partly on the forecasters intuitive feel for the situation and ability to guess. This led to a numerical analysis of weather which was later "computerized"
In a sense, The Information is a book about everything, from words themselves to talking drums, writing and lexicography, early attempts at an analytical engine, the telegraph and telephone, ENIAC, and the ubiquitous computers that followed. But that's just the "History." The "Theory" focuses on such 20th-century notables as Claude Shannon, Norbert Wiener, Alan Turing, and others who worked on coding, decoding, and re-coding both the meaning and the myriad messages transmitted via the media of their times. In the "Flood," Gleick explains genetics as biology's mechanism for informational exchange--Is a chicken just an egg's way of making another egg?--and discusses self-replicating memes (ideas as different as earworms and racism) as information's own evolving meta-life forms. Along the way, readers learn about music and quantum mechanics, why forgetting takes work, the meaning of an "interesting number," and why "[t]he bit is the ultimate unsplittable particle." What results is a visceral sense of information's contemporary precedence as a way of understanding the world, a physical/symbolic palimpsest of self-propelled exchange, the universe itself as the ultimate analytical engine. If Borges's "Library of Babel" is literature's iconic cautionary tale about the extreme of informational overload, Gleick sees the opposite, the world as an endlessly unfolding opportunity in which "creatures of the information" may just recognize themselves. quote: "hacking is the continual pursuit of excellence in technology"
contains a cool hacker's boot strap of how to program in "C"
Published in 2007, the second half of the book proves that this publication is more than an introduction. I read the first edition back in 2003 but the material is still very relevant today. "The Pentium Chronicles" describes the architecture and key decisions that shaped the P6, Intel's most successful chip to date. As author Robert Colwell recognizes, success is about learning from others, and "Chronicles" is filled with stories of ordinary, exceptional people as well as frank assessments of "oops" moments, leaving you with a better understanding of what it takes to create and grow a winning product. - A landmark chip like the P6 or Pentium 4 doesn't just happen. It takes a confluence of brilliant minds, dedication for beyond the ordinary, and management that nurtures the vision while keeping a firm hand on the project tiller. As chief architect of the P6, Robert Colwell offers a unique perspective as he unfolds the saga of a project that ballooned from a few architects to hundreds of engineers, many just out of school. For more than a treatise on project management, The Pentium Chronicles gives the rationale, the personal triumphs, and the humor that characterized the P6 project, an undertaking that broke all technical boundaries by being the first to try an out-of order, speculative super-scalar architecture in a microprocessor. In refreshingly down-to-earth language, organized around a framework we wish we had known about then, Chronicles describes the architecture and key decisions that shaped the P6, Intel's most successful chip to date. Colwell's inimitable style will have readers laughing out loud at the project team's creative solutions to well-known problems. From architectural planning in a storage room jimmied open with a credit card, to a marketing presentation using shopping carts, he takes readers through events from the projects beginning through its production. As Colwell himself recognizes, success is all about learning from others, and Chronicles is filled with stories of ordinary and exceptional people and frank assessments of oops moments, like the infamous FDIV bug. As its subtitle implies, the book looks beyond RTL models and transistors to the Intel culture, often poking fun at corporate policies, like team-building exercises in which engineers ruthlessly shoot down each other's plans. Whatever your level of computing expertise, Chronicles will delight and inform you, leaving you with a better understanding of what it takes to create and grow a winning product. (Bob Colwell was Intel's chief IA32 architect through the Pentium II, III, and 4 microprocessors. He now writes in the At Random section of the IEEE magazine titled Computer.) Quote: We don't live long enough to accumulate enough personal experience from our own mistakes, so we amplify our learning by absorbing the experiences of others. This is the key to the collective wisdom of the human race. MIT Sloan School of Management Professor Edgar Schein does a marvelous job telling the story of the rise and fall of Digital Equipment Corporation, the former #2 computer maker in the world behind IBM. The business reasons behind DEC's economic failure have been widely reported (missing the advent of the PC, having too many projects going at once, failure to market products effectively, etc.) However, the big question to be answered is why did these failures occur? To quote one passage, "Why did an organization that was wildly successful for thirty-five years, filled with intelligent, articulate powerful engineers and managers, fail to act effectively to deal with problems that were highly visible to everyone, both inside and outside the organization?" Schein looks at DEC's failure through the lens of its corporate culture, and how it prohibited their executives from making the decisions, and taking the actions necessary to survive. Fans of Ed Schein will know his famous "Three Cultures of Management" paper, in which he describes the "Executive", "Line Manager" and "Engineering" cultures, all of which must exist and be balanced against one another for an organization to survive. Schein argues that DEC was dominated by the engineering culture, which valued innovation and "elegant" design, over profits and operational efficiency. This engineering culture dominated even the top levels of DEC, where proposals to build PCs out of off the shelf parts that were readily available in the marketplace, were shot down because the machines were thought to be junk compared to the ones DEC could build themselves. That DEC was able to survive for as long as it did was largely attributable to its ability to innovate in a field that was so new it had not yet coalesced around certain standard systems, software and networks. However, as the computer industry became in effect a commodity market, and the buyers began to value price over innovation, DEC found itself increasingly unable, and in fact, unwilling to compete. The engineering culture which valued innovation and required creative freedom, did not want to subject itself to the requirements of being a commodity player which demanded autocratic operational efficiency and control over how resources were allocated. Although DEC is now long gone, even readers who were too young to use computers at the time of its demise will find familiar truths in this book. As the old saying goes, the fish in the tank does not see the water it is in. Neither do we often see the cultures in which we are ourselves embedded. The real lesson of this wonderful book is to show us how our corporate cultures often prohibit us from doing the right things, even when we can see them clearly. Sometimes culture is most easily visible in the things you need to discuss, but that are simply "not on the table" for discussion. There are many lessons here too, for companies that seek to innovate new products and services, and how to balance the creative freedom desired by the engineering culture with the "money gene" culture of sound executive management. The names of companies that have failed to realize the full financial benefits of their technical innovations is too long to list here. But the DEC story is a must read for anyone who seeks to balance innovation with sustainable economic success in any organization. The 1994 version of this book is titled "Show stopper!" The 2009 version of this book is titled "Showstopper!" This book is a riveting description of the development of Windows-NT (which later morphs into Windows-2000, Windows-XP, Windows-Vista, Windows-7). If you enjoyed either one of Hackers or Soul of a New Machine then you'll like this book. Sixty percent of this book is about "DECies" (DEC people at Microsoft including Dave Cutler) with the remaining stuff being about the "Microsofties" including Bill Gates, Steve Ballmer and others. Gates only wanted Cutler’s s/w people but Cutler wouldn’t agree to a deal without bringing along his hardware people. The first version of this multi-personality (DOS, OS/2, Windows, whatever) portable OS was called “Portasys” and ran on a custom PC designed by Cutler’s group which was based upon the Intel i860 CPU. It was never meant to be sold; only used internally to develop a portable OS. There was a whole lot of stuff I didn't know about Windows-NT like: many of the Microsofties wanted to keep/extend DOS (FAT32) or the OS/2 file system while the Decies pushed for the development of a new file system called NTFS. Who Says Elephants Can't Dance? Inside IBM's Historic Turnaround (2002) Louis V Gerstner, Jr.
Gerstner quarterbacked one of history's most dramatic corporate turnarounds. For those who follow business stories like football games, his tale of the rise, fall and rise of IBM might be the ultimate slow-motion replay. He became IBM's CEO in 1993, when the gargantuan company was near collapse. The book's opening section snappily reports Gerstner's decisions in his first 18 months on the job-the critical "sprint" that moved IBM away from the brink of destruction. The following sections describe the marathon fight to make IBM once again "a company that mattered." Gerstner writes most vividly about the company's culture. On his arrival, "there was a kind of hothouse quality to the place. It was like an isolated tropical ecosystem that had been cut off from the world for too long. As a result, it had spawned some fairly exotic life-forms that were to be found nowhere else." One of Gerstner's first tasks was to redirect the company's attention to the outside world, where a marketplace was quickly changing and customers felt largely ignored. He succeeded mightily. Upon his retirement this year, IBM was undeniably "a company that mattered." Gerstner's writing occasionally is myopic. For example, he makes much of his own openness to input from all levels of the company, only to mock an earnest (and overlong) employee e-mail (reprinted in its entirety) that was critical of his performance. Also, he includes a bafflingly long and dull appendix of his collected communications to IBM employees. Still, the book is a well-rendered self-portrait of a CEO who made spectacular change on the strength of personal leadership. In this context, the term Hacker means someone who develops elegant hardware and software solutions (hacking off anything not necessary) rather than someone who does illegal things. But I had no idea that hacking began at MIT as part of their "model railroad club". Subtitled "A Tutorial on the Algorithm & Software for Laymen, Students, Technicians & Working Engineers", weighs in at 180 pages. I wish I would have owned a copy of this book 10 years earlier because I would have saved considerable time and money. 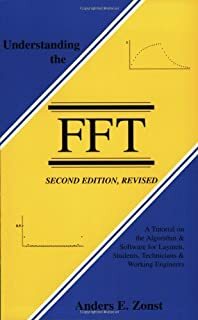 This first edition of this book (1997) is subtitled "A Tutorial for Laymen, Students, Technicians, & Working Engineers", weighs in at 415 pages. Citrus Press (Titusville, Florida) has granted permission to me to freely redistribute their copyrighted BASIC source code. caveat: the book cover contains the phrase "101" while the first page does not. But if you order the book from Amazon, the cover photo there (in green) does not contain the phrase "101" while their ordering link does. DSP is utilized in just about every electronic system or device. DSP is taking one piece of information be it data, image, video, or audio, most likely compressing, sending, and filtering it to another location within your application to appear in the form of a document, picture or video. Like Smith before it, this book is different to most on the market by following a popular applied approach to this tricky subject, and will be the perfect starting point for engineers who need to get into DSP from the ground floor. This book starts with the absolute basics of this integral process. No experience is expected and with no prior knowledge taken for granted, a refresher chapter on complex numbers and trigonometry can be found at the very beginning of the material. Real-world worked examples, reference designs, and tools - including online applets that enable readers to visualize key principles - complete a package that will help engineers who that needs to learn anew or refresh their memory on this essential technology as they move to projects that require DSP familiarity. This is a real pager-turner involving many people including Elisha Gray, Alexander Graham Bell and Thomas Edison to only name three of many. The author provides very convincing evidence that Elisha Gray should be credited for the invention of the telephone. Click here for more details from my telephony page. Excerpt from Chapter 1: Thousands who are employed in various ways with enterprises, the foundations of which are electrical, know nothing of electricity as a science. A friend of mine, who is a professor of physics in one of our colleges, was traveling a few years ago, and in his wanderings he came across some sort of a factory where an electric motor was employed. Being on the alert for information, he stepped in and introduced himself to the engineer, and began asking him questions about the electric motor of which he had charge. The professor could talk ohm, ampères, and volts smoothly, and he "fired" some of these electrotechnical names at the engineer. The engineer looked at him blankly and said: "You can't prove it by me. I don't know what you're talking about. All I know is to turn on the juice and let her buzz." How much "juice" is wasted in this cut-and-dry world of ours and how much could be saved if only all were even fairly intelligent regarding the laws of nature! A great deal of the business of this world is run on the "let her buzz" theory, and the public pays for the waste. It will continue to be so until a higher order of intelligence is more generally diffused among the people. A fountain can rise no higher than its source. A business will never exceed the intelligence that is put into it, nor will a government ever be greater than its people. Quote from Chapter 2: Our world is filled with croakers who are always sighing for the good old days. But we can easily imagine that if they could go back to those days their croaking would be still louder than it is. Quote from Chapter 7: We are simply seeking after truth. The man who is an earnest seeker after scientific truth cannot afford to pursue his investigations with any prejudice in favor of one theory more than another, unless the facts sustain him, and then he is not acting from prejudice, but is led by the facts. Many people make pets of their theories; and they become attached to them as they do their children; and they look upon a man who destroys them by a presentation of the facts as an enemy. I once knew a lady who became so attached to her family doctor that, she said, she would rather die under his treatment, if necessary, than to be cured by any other doctor. There are many people who are imbued with this kind of spirit not only in matters scientific, but in matters religious as well. Such people are not the kind who contribute to the world's progress, but are the hindrances that have to be overcome. What an entertaining diversion from the stuff I usually read. While I previously learned much of this stuff (Ohm's Law, Kirchhoff's Laws, Thevenin's Theorem) when I was a teenager in the 1960s, I found this book presentation of those topics refreshingly different. But this book also covers a lot of newer stuff including discreet semiconductor devices, like diodes, LEDs, transistors, as well as integrated (non-discreet) circuits like chips. Yep this book will get you from "introductory DC-AC theory" to "microcontrollers" in 1056 pages. In this age of an open Internet, it is easy to forget that every American information industry, beginning with the telephone, has eventually been taken captive by some ruthless monopoly or cartel. With all our media now traveling a single network, an unprecedented potential is building for centralized control over what Americans see and hear. Could history repeat itself with the next industrial consolidation? Could the Internet-the entire flow of American information-come to be ruled by one corporate leviathan in possession of "the master switch"? That is the big question of Tim Wu's path-breaking book. According to Columbia professor and policy advocate Wu (Who Controls the Internet? ), the great information empires of the 20th century have followed a clear and distinctive pattern: after the chaos that follows a major technological innovation, a corporate power intervenes and centralizes control of the new medium--the master switch. Wu chronicles the turning points of the century' s information landscape: those decisive moments when a medium opens or closes, from the development of radio to the Internet revolution, where centralizing control could have devastating consequences. To Wu, subjecting the information economy to the traditional methods of dealing with concentrations of industrial power is an unacceptable control of our most essential resource. He advocates not a regulatory approach but rather a constitutional approach that would enforce distance between the major functions in the information economy--those who develop information, those who own the network infrastructure on which it travels, and those who control the venues of access--and keep corporate and governmental power in check. By fighting vertical integration, a Separations Principle would remove the temptations and vulnerabilities to which such entities are prone. Wu' s engaging narrative and remarkable historical detail make this a compelling and galvanizing cry for sanity--and necessary deregulation--in the information age. industry outsiders rebel then move their own competing film production companies to Hollywood, California. AT&T (and the Bell System in general) used the FCC to block the connection of all so-called "foreign devices" including answering machines (invented by Bell Labs in the 1930s but relegated to the basement until they appear again from foreign markets after the government breaks up the Bell System in 1984), FAX machines, and computer modems. like business tycoons of yesterday, Steve Jobs of Apple Computer (rebranded Apple Inc. in 2007) built cozy relationships with AT&T (where Apple introduces new iPhone models) and Hollywood (where Apple sells their music and movies). Apple controls (sanctions or blocks) all apps you want to place on your iPhone. In 2007, Apple decided to block Skype and Google Voice (GV) probably to support their partner, AT&T. Google was worried that their world would be very different if communications where dominated by Apple's iPhone (where Apple could block access to any web destination) so they responded with the idea of gPhone along with the Android operating system (based on Linux) which they provide (virtually for free) to the Open Handset Alliance. When IBM was developing their personal computer which would be called the IBM-PC, they copied Apple's "open design" by creating ISA (industry standard architecture) slots which would accept adapter cards made by any manufacturer. Around this same time, Apple decided they could make more money on closed architectures and so were working on machines like the Apple Lisa and Apple Macintosh. Today, IBM is not the dominant player in PCs and this was caused, in part, by IBM moving away from open technology (like ISA) to closed proprietary technology MCA (Micro Channel Architecture) which allowed other open manufacturers like Compaq, Dell, and HP, to jump in. Arthur C. Clarke, visionary author of both science fact and science fiction, first conceived of satellite communications in 1945--and twenty-five years later his dream became reality. Now, in this new personal and colorful nonfiction work, Clarke examines the rapid transformation of our society by technology and communication. As the infant field of communications began growing in the early part of this century, so did the boy named Arthur C. Clarke--who watched, wide-eyed, as his small English village was transformed overnight. In his job as the village switchboard operator he once overloaded the circuits, excitedly eavesdropping on his first transatlantic call. From there his involvement grew more and more technical, culminating in his now-famous paper "Extra-Terrestrial Relays," which anticipated many of the developments of the next fifty years. For five thousand years communication never advanced beyond the speed of horse and wind-driven ship--but in the explosive span of thirty years, it changed forever. Newer, faster communication toppled tyranny, won wars, and changed history all the way from the second Russian Revolution to the Gulf war. Here is the story of the stranger-than-fiction mishaps, oversights, capricious acts of fate, and incredible human energy that eventually transformed the earth into our modern global village. Clarke brings unique expertise and a lifetime of experience to How the World Was One. Beginning with submarine cables, through the development of fiber optics and communications satellites, and then projecting far into a future of neutrino, gravitational, and tachyon (faster than light) communications, Arthur C. Clarke shows how these remarkable innovations shaped and changed the earth--and made the world one. Nevertheless, Toynbee was essentially correct. Except for a few dwindling tribes in (alas) equally dwindling forests, the human race has now become almost a single entity, divided by time zones rather rather than by natural frontiers of geography. The same TV news networks cover the globe; the world's markets are linked by the most complex machine ever devised by mankind -- the international telephone/telex/fax/data transfer system. This state of affairs has existed for the greater part of human history. When Queen Victoria came to power in 1837, she had no swifter means of sending messages to the far parts of her empire than had Julius Caesar -- or, for that matter, Moses. Telstar (and its successor Telstar 2, launched May 7, 1963) showed that active satellites could do everything that had been claimed for them, and with very modest powers -- as long as they were backed up by massive ground equipment. The Bell System had built an even larger horn-antenna for the Telstar than for Echo; the giant ear at Andover, Maine, weighed 370 tons yet was able to track the speeding satellite to an accuracy of better than a twentieth of a degree. And that was the big problem. Because of its relatively low altitude (between 950 and 5,600 kilometers) Telstar 1 circled the Earth several times per day; its orbital period was only a fraction of the magic twenty-four hours. ... paradoxically, it takes rather more energy to park [a satellite] twenty two thousand miles up than to land on the ten-times-more-distant moon. "You're on the glide path... I think..."
"If you've got a message..."
NSR Comments: I was surprised to learn that many transoceanic telegraph cabling projects were doomed to failure because overly optimistic participants (many of them "investors" and/or "people of title") refused to learn Ohm's Law which was known as of 1827. These idiots were just "playing around with technology" which resulted in the loss of many billions of dollars reminiscent of the losses associated with the DOT COM economic meltdown of 2000-2002. We humans never seem to learn from our mistakes. A hundred years ago, the electric telegraph made possible - indeed, inevitable - the United States of America. The communications satellite will make equally inevitable a United Nations of Earth; let us hope that the transition period will not be equally bloody. Neil deGrasse Tyson is a rare breed of astrophysicist, one who can speak as easily and brilliantly with popular audiences as with professional scientists. Now that NASA has put human space flight effectively on hold—with a five- or possibly ten-year delay until the next launch of astronauts from U.S. soil—Tyson’s views on the future of space travel and America’s role in that future are especially timely and urgent. This book represents the best of Tyson’s commentary, including a candid new introductory essay on NASA and partisan politics, giving us an eye-opening manifesto on the importance of space exploration for America’s economy, security, and morale. Thanks to Tyson’s fresh voice and trademark humor, his insights are as delightful as they are provocative, on topics that range from the missteps that shaped our recent history of space travel to how aliens, if they existed, might go about finding us. If you think North American governments should return to manned spaceflight, then this book is for you. quote: it is not enough to add more STEM (science technology engineering math) teachers if there are no jobs waiting after graduation. So he is calling for a doubling of NASA’s budget in order to stimulate the economy. Chapter 7 discusses AGC hardware design which started out using discrete transistors and finished using 2-gate integrated circuits. At the peak in mid-1965, 600 people worked on AGC hardware. Note: even though the AGC software was written using METRIC MEASUREMENTS, the astronauts requested analog displays like "feet per second". The AGC was then required to do the conversion in order to drive these displays. Chapter 8 presents an overview of AGC software which seems to have cropped up almost as an afterthought. In 1960 NASA thought the computers would be programmed by mathematicians but this work turned out to be an engineering discipline. In mid-1965 there were approximately 250 people working on AGC software. This number peaked at 400 in mid-1968. Due to the small memory footprint, MIT employed a software interpreter rather than writing the programs in assembler. This chapter also describes the low-tech LPD (landing point designator) which is comprised of colored markings on the commander's window. Chapter 11 briefly touches on many things including: installing an Apollo AGC in an F-8, The Shuttle, CEV (Crew Exploration Vehicle), glass cockpit of the Airbus A-320, etc. Gene Kranz was present at the creation of America's manned space program and was a key player in it for three decades. As a flight director in NASA's Mission Control, Kranz witnessed firsthand the making of history. He participated in the space program from the early days of the Mercury program to the last Apollo mission, and beyond. He endured the disastrous first years when rockets blew up and the United States seemed to fall further behind the Soviet Union in the space race. He helped to launch Alan Shepard and John Glenn, then assumed the flight director's role in the Gemini program, which he guided to fruition. With his teammates, he accepted the challenge to carry out President John F. Kennedy's commitment to land a man on the Moon before the end of the 1960s. Kranz was flight director for both Apollo 11, the mission in which Neil Armstrong fulfilled President Kennedy's pledge, and Apollo 13. He headed the Tiger Team that had to figure out how to bring the three Apollo 13 astronauts safely back to Earth. (In the film Apollo 13, Kranz was played by the actor Ed Harris, who earned an Academy Award nomination for his performance.) In Failure Is Not an Option, Gene Kranz recounts these thrilling historic events and offers new information about the famous flights. What appeared as nearly flawless missions to the Moon were, in fact, a series of hair-raising near misses. When the space technology failed, as it sometimes did, the controllers' only recourse was to rely on their skills and those of their teammates. Kranz takes us inside Mission Control and introduces us to some of the whiz kids -- still in their twenties, only a few years out of college -- who had to figure it all out as they went along, creating a great and daring enterprise. He reveals behind-the-scenes details to demonstrate the leadership, discipline, trust, and teamwork that made the space program a success. Finally, Kranz reflects on what has happened to the space program and offers his own bold suggestions about what we ought to be doing in space now. This is a fascinating firsthand account written by a veteran mission controller of one of America's greatest achievements. published by Smithsonian Books in 2004, this hardcover edition weighs in at 283 pages. Unlike other Apollo books, this book is more about engineering than space flight. That said, anyone working in a technical field will find this an enjoyable read. Subtitled "Spaceflight Then and Now", this hardcover book weighs in at 320 pages. Orion and project Daedalus, Laser propulsion, Ramjet, Antimatter Drive, Colony ships, Wormholes, etc. The Apollo Guidance Computer (AGC) sits squarely between the mainframe punched-card readers of the 1950s and the microprocessor-based desktop personal computers of the 1970s (Apple II, TRS-80, Commodore PET). This book gives the best view of what the American aerospace industry was capable of building in the 1960s and how Apollo stimulated the electronics industry to produce standardized semiconductor technologies like RTL (resistor-transistor logic) and DTL (diode-transistor logic). Excerpt From Page 19: This action made NASA's Apollo Program the single largest single consumer of integrated circuits between 1961 and 1965. Design and production of the Block I Apollo computer consumed about 200,000 (Fairchild Inc.) Micrologic elements. NASA originally thought that the AGC software would be created by mathematicians. Later on, contractors provided "computer programmers" and "system engineers". Fortran and MAC (an MIT algorithmic programming language) were the only two software tools originally considered. Later on, macro assemblers were developed and then run on AGC simulators implemented in mainframe computers from IBM and Honeywell. Page 8 contains the coolest picture of core memory similar to this one.